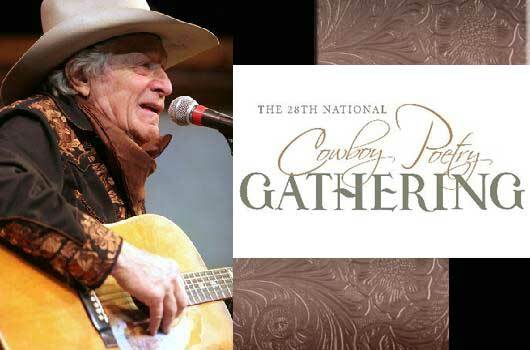 The 28th National Cowboy Poetry Gathering—the nation’s greatest celebration of the American West, its people, culture and traditions—will take place January 30 to February 4, 2012, in Elko, Nevada, a high desert community where ranching has been a way of life for more than a century. The poetry, music, workshops, films, discussions, exhibits and dances that compose the Gathering honor Elko and other rural communities across the West where people work on horseback. Visit www.westernfolklife.org for more information about the National Cowboy Poetry Gathering. Visit www.exploreelko.com for more information about Elko. Tickets to the 28th National Cowboy Poetry Gathering can be purchased at www.westernfolklife.org, by calling 775-738-7508, toll-free 888-880-5885, or by stopping in to the Western Folklife Center’s ticket office, 501 Railroad Street, Elko.